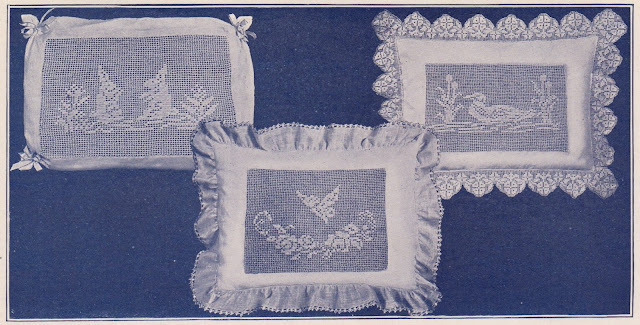 These adorable baby pillow filet crochet patterns come from a vintage 1920 pattern book devoted to baby and small children's clothing and accessories. These lovely pillows would be beautiful in the nursery, maybe used for back support for mom in a rocking chair or as a boudoir pillow. 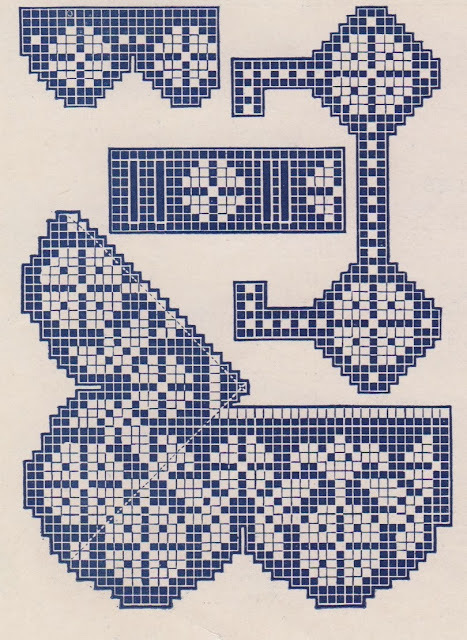 You could also adapt these patterns to other uses such as for a yoke to a pretty little dress -- the butterfly or roses would be so pretty for that. 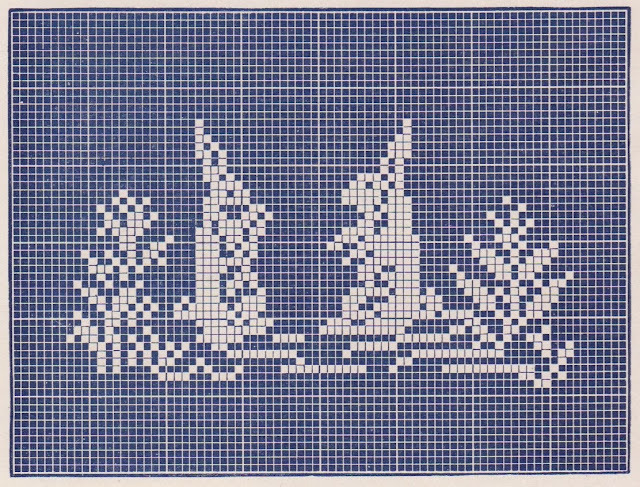 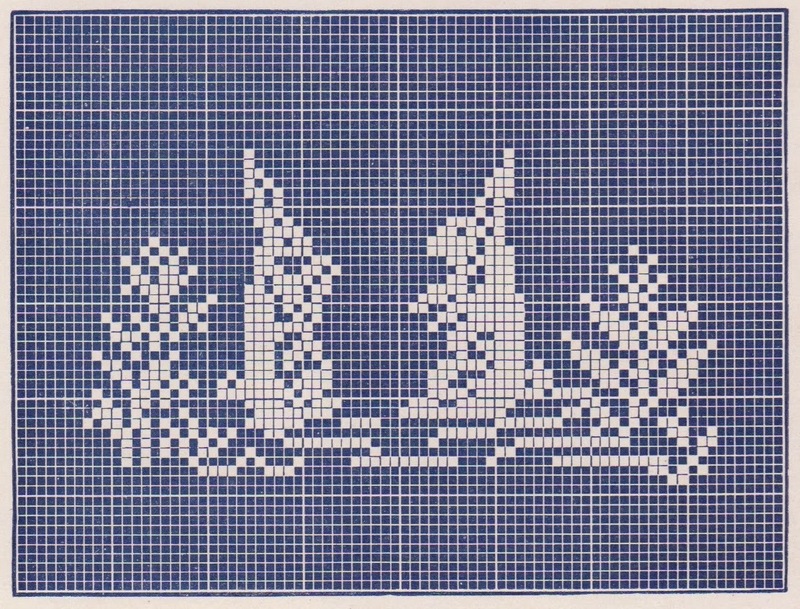 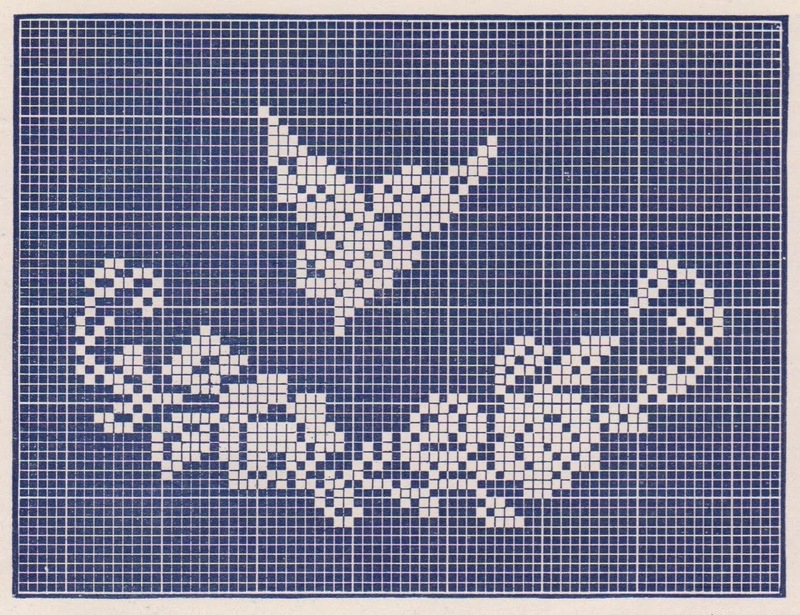 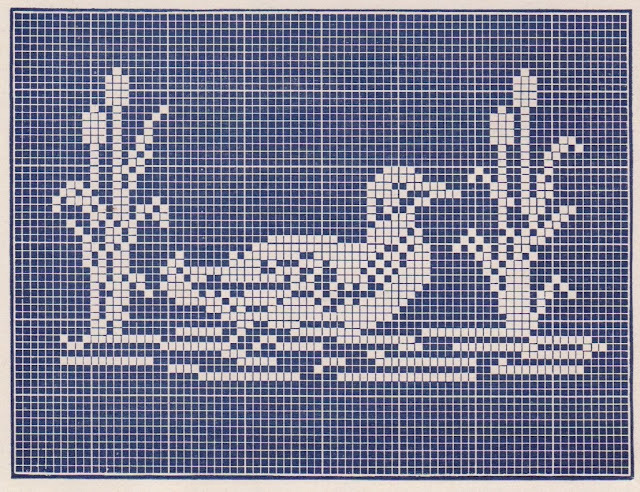 And naturally, as with other filet crochet patterns, these images can be worked in cross stitch too. 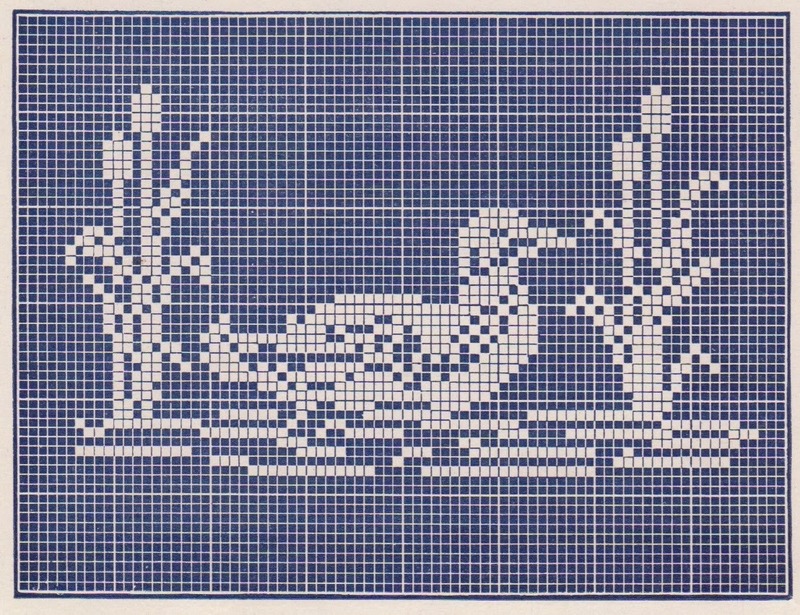 Have fun stitching up something delightful with these beautiful vintage patterns!